Still a small business ourselves, Datainsure did over $1 billion in aggregate processing in 2016. There is no deal too small, and every client is equally important to us. We are pioneers of PCI compliance and data protection. Client compliance is so important to us that we offer free replacement of non-compliant EMV terminals with our new, modern EMV terminals including chip technology. Our PCI Compliance and Data Insurance Package is available as an add-on to any contract fulfillment for a nominal monthly fee, ensuring your business protection from non-compliant processing fees and penalties and data breaches. 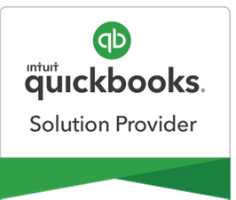 Our transaction processing systems integrate best with the latest version of Quickbooks, which is why we offer all clients operating on older versions of the software a free Quickbooks upgrade with contract fulfillment. The Datainsure Customer Service Team will go the extra mile to assist our clients. You will never be waiting in a queue and will always be patched through to human support staff. To us, you are never an ID number, but a real person with real problems. We want to give you the best support possible and will spend as much time as needed to find a resolution. We are here to have your back, not to take advantage. It is our mission to make our clients feel connected, nurtured, and acknowledged. Not only does Datainsure have great relationships with the banks, allowing us more freedom when solving client issues, we have ensured that our systems integrate with the most up-to-date processing software on the market. We are always interested in expanding our partner relationships, so if you are currently operating with a POS software not listed above, we would love the opportunity to see if we can work with you. Give our merchant services experts a call today.